A new roof system is a big investment and it is important to get the best value for your money. That said, actually choosing a Vancouver roofing contractor can be confusing. For starters, prices vary from one to another. So do products, promises, warranties, references, testimonials and so on. What is the Basic Purpose of a Roof? Properly installed, a roof prevents water, weather and mould from getting into a home. A good roof keeps that home well ventilated so it stays cool in summer and dry in winter (without condensation or “sweat”). In addition to these main functions, it also keeps one’s belongings and valuables protected. So, the first criterion should be to ensure that the roof doesn’t leak and that its longevity will last the lifetime of the home. It isn’t just the quality of materials that makes a quality roof, although it is important. It is also, and to no small degree, the quality of labour that makes the difference. The number of nails, the quality of shingles, the flashing used, and the skill and care that goes into installing a roof make an enormous difference. Put simply, looking at today’s bottom line cost is not a proper gauge. Investing proper time, attention and experience right now will cost less 10 to 15 years down the road. A good roofing job saves money. 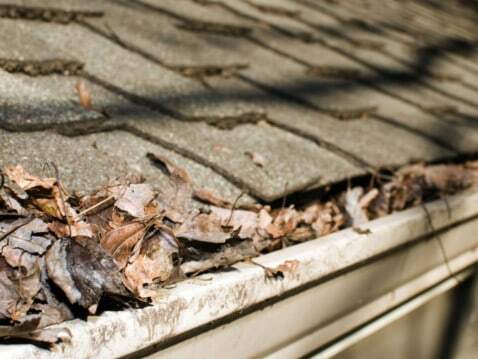 A cheap roofing job will cause more and more expenses. Some people mistakenly think that a roof is easy to install and requires little, if any, technical knowledge. They figure calling the guy in the neighbourhood who has a sign on his van and making a handshake deal with him (or even a cash deal) will be good enough. The fact is that a good roofing contractor makes installation appear easy because of extensive training, skill, knowledge and experience – not only in roofing, but in personal customer service. A contractor with a detailed warranty and paper trail is one who puts his money where his mouth is and has the confidence to be fully accountable. That’s all about quality and trust. When choosing a contractor, look at the company’s history. How long has it been in business? Has it lasted at least as long as a roofing warranty? If so, good. Only successful and quality operations stand the test of time. The last thing you want is a company offering a warranty but then closing down a few months after replacing your roof. Longevity means reliability, accountability and value. Reputation is huge when determining the value of a roofing contractor and company. A business must earn that reputation through quality work, quality people, experienced management and ethical principles. Look for these things when you are choosing a roofing contractor. Next PostCaution! Is Your Roofing Contractor Insured by WorkSafeBC?